This is an all-hands-on-deck moment for every American. Gutting net neutrality hurts an American experiment that cannot function without the free flow of ideas. That may be good for the bottom lines of old-fashioned telecommunications corporations. But that’s no good for 21st-century discourse or democracy. There has been no serious or sincere popular outcry for eliminating net neutrality from consumers or from honest advocates for innovation. Nor has the 2015 Open Internet Order—which used Title II of the federal Communications Act as a basis for outlining obligations for carriers that provide Internet access—stifled innovation or investment. “According to publicly available Securities and Exchange Commission filings, overall investment by the nation’s publicly traded internet service providers is up 5 percent in the two-year period since the FCC ruling, compared to their investment over the two years prior to the vote. Individual ISPs like Comcast spent 26 percent more on capital expenditures in that time period than in the two years prior. Cable company core network investments are up almost 50 percent in that two-year period. This figure includes new deployment and upgrades to networks but doesn’t count additional expenditures on infrastructure like cable boxes, cable modems, service trucks and buildings,” notes a Free Press assessment of the digital landscape. “The industry’s actual investments and deployments, as well as its executives’ own statements to investors on how the rules haven’t harmed their businesses in the slightest, are more informative than Pai’s ideology-driven fantasies,” argues Matt Wood, the policy director of the group that this writer and others formed 15 years ago. Unfortunately, the fantasies that motivate the Trump administration in general, and Pai in particular, are those of essentially unlimited profiteering by politically connected corporations. 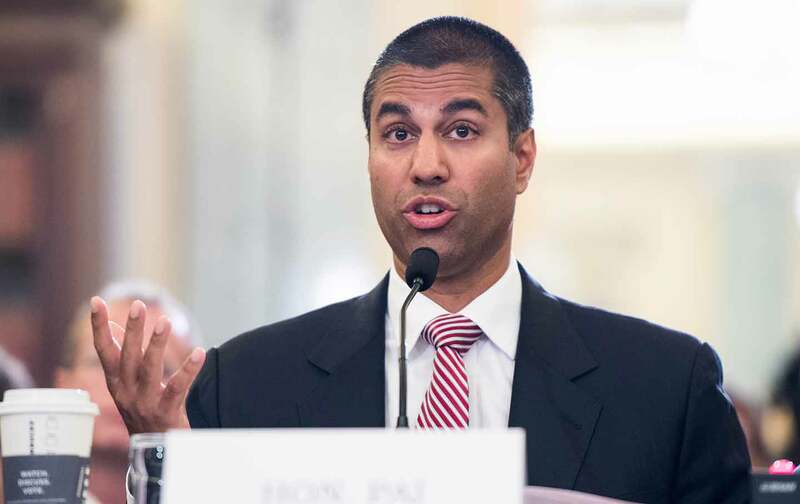 Gutting net neutrality, as Pai proposes, opens the way for telecommunications giants to colonize the Internet in the same way that they have done to broadcast and cable platforms—replacing civic and democratic values with commercial and entertainment dictates. Despite claims made to the contrary, if Trump and Pai succeed, the United States will end up with an “information superhighway” for messages favored by corporate elites who can pay the tolls and a dirt road for messages from citizens who hold to the quaint American faith that human beings should have rights and corporations should have regulations. Markey is right. An assault on net neutrality is an assault on an American experiment that does not function without the free flow of ideas, and without easy access to those ideas for people of every class and of every background. Undermining net neutrality poses an even greater threat to those who have historically faced social, economic, and political barriers. It had better be. Pai plans to move quickly, with essential deliberations on his plan coming perhaps as soon May 18. So this is an all-hands-on-deck moment for every American who recognizes that the defense of net neutrality is an essential struggle for First Amendment rights in the 21st century.